Gov. Wolf said budget negotiators are close to striking a deal on a revenue package to fund the nearly $32 billion spending plan that is now law. HARRISBURG — Gov. Wolf on Wednesday said he believes he acted legally when he allowed a nearly $32 billion spending plan to lapse into law without an agreement on how to pay for it. "We are taking a close look at what we can do constitutionally," he told reporters after a news conference in the Capitol, "and I'm very comfortable that we're doing the right thing." But his administration acknowledged that no court rulings address the budget quandary.While the spending plan stipulates how much the state can spend in the fiscal year that began July 1, no law spells out where that money is to come from or how to address the state's deep financial problems. Pennsylvania's constitution requires a balanced budget, and contains language that appears to put the onus for crafting one on both the governor and the legislature. Without a revenue package in place, the state's $32 billion budget is out of balance. But the governor said Wednesday that he believes the state is on firm constitutional ground and that his legal team has researched the question. He would not elaborate, instead directing further questions to attorneys. "You'll have to ask them," he said. Lawyers who advised the governor were not available for comment Wednesday. The Republican-controlled legislature, which passed the spending plan and sent it to Wolf just hours before the start of the new fiscal year, also could not point to any legal precedent that spells out whether the state's spending authority is constricted in any way. Bruce Ledewitz, a professor and director of the Pennsylvania Constitution Website at Duquesne University's law school, put it this way: "The truth is that, yes, there is a constitutional requirement for a balanced budget, and there can't be any spending, technically speaking, without one. But it's really not been enforced in the courts." He said that without a clear enforcement mechanism, the question of constitutionality appears to be "a political rather than a legal matter." Wolf spokesman J.J. Abbott said Wednesday that the constitution states that the state can't spend more than it takes in. Money, he noted, is continuing to flow into state coffers. Last month, state Treasurer Joe Torsella and state Auditor General Eugene DePasquale warned that the state was facing a serious cash crunch. In a letter to legislators, the two men projected that state government might have to borrow as much as $3 billion for operating expenses by next April. That projection assumed that lawmakers and the administration could not agree on ways to raise state revenue. 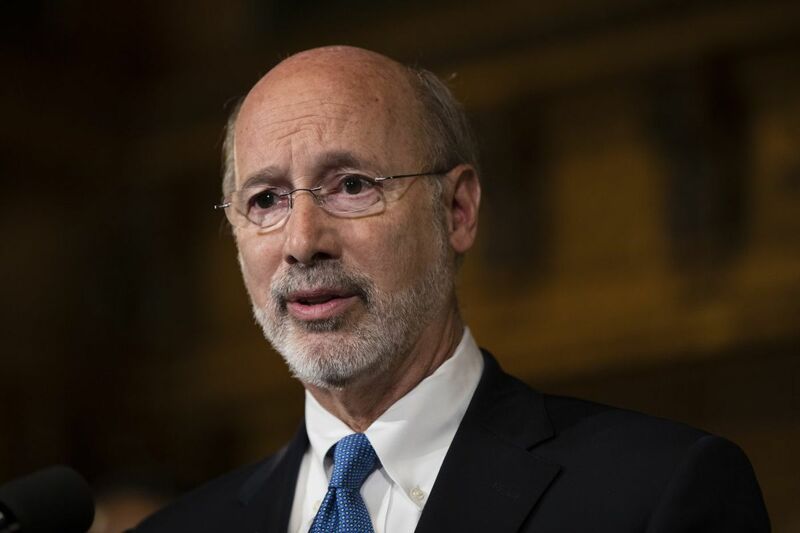 Wolf on Wednesday said he believed negotiators from his office and the state legislature were "close" to striking a deal on how to pay for the spending plan. But he refused to explain his optimism — even as the legislature Tuesday left the Capitol for days, if not weeks, and without appearing to schedule specific talks with the administration. Asked to itemize any progress in specific areas of contention over the last few weeks — such as expanding legalized gambling — Wolf said only that he was optimistic an agreement could be reached swiftly. When asked if he could be more specific, Wolf answered: "No." Karen Langley of the Harrisburg bureau contributed to this article.